Last night nikkiwawa79 was helping me to decide what show to rewatch (the choices were BTVS S1-3, ATS S1-3, or Arrested Development). She told me to rewatch BTVS. 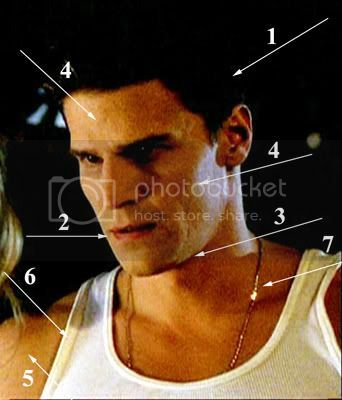 I got through Disc One and let me say, I am totally convinced now that Angel was really suppose to be Angelo from Staten Island or Brooklyn. 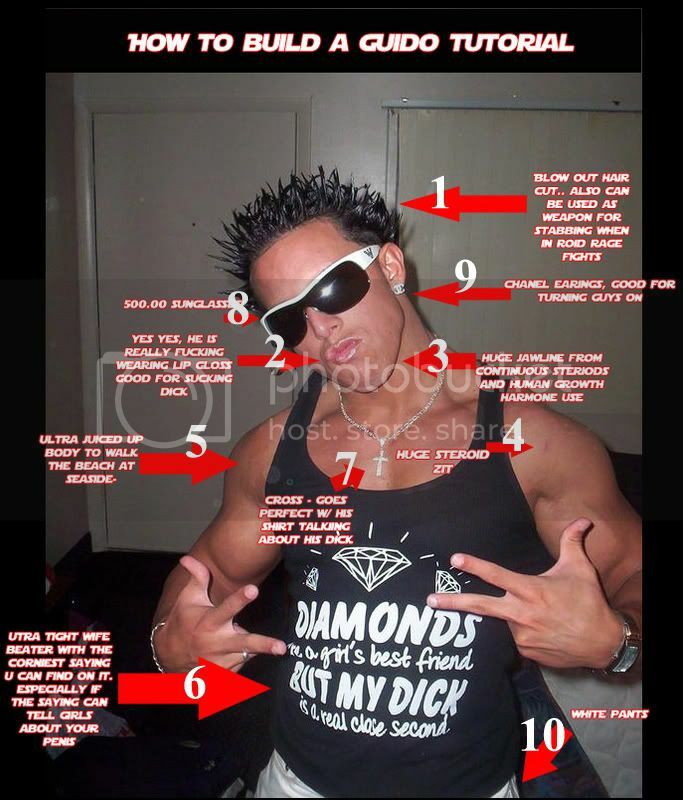 He looks like a guido from Staten Island. "Me and the boys was going inta da city. This summer we is goin' to da shore." Click for larger, these ones only. I expect him to say "How YOU doin'?" 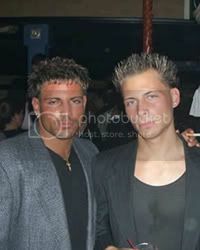 Check out the hair! He is total bridge and tunnel! What is with those collared shirts? 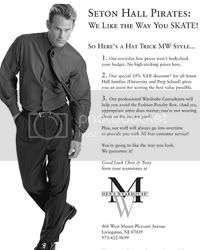 Did he get lost on his way home from the Men's Wearhouse? THE SHINY SHIRT! 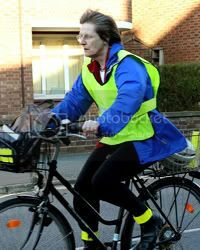 It is like he wants cars to see him when he bikes at night. He's a vampire. He needs to be seen in the dark. 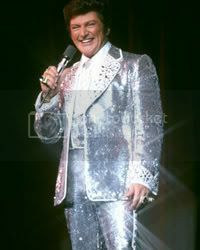 Or he hung out with Liberace and stole some of his fashion tips. Stay tuned cause I have this feeling I will have no choice but to ridicule the rest of his fashion choices to come. Dude, that is my job. See, it says right here "Job Description: Make the Beasty giggle." You two rock.... Made my evening! I never thought of it before, but you're totally right! It was one of those things that as soon as I noticed it at first, then it all started coming out at me. I have a feeling there is so going to be another post like this in my future. Angel needs to be mocked. 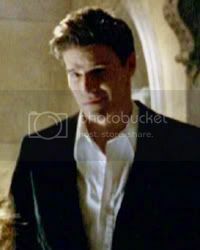 Can you imagine if Cordy saw him in the velvet blazer? Or the shiny shirt? Oh man, laughing already. OMG I can't stop laughing. The guy on the bike ROFL, Ellen in a velvet suit omfg lmfao. Guys like this actually exist outside a SNL skit?? Serious? HAHAHAHAHAHA!!!! OMG! Thank you for this. I needed the laugh. And so so true! The velvet/shiny jacket was just so Anne Rice. Ever notice how he's wearing white shirts, when during his own series, he wouldn't be caught dead wearing anything that brightly coloured? And in Room with a View, I swear he's wearing a cross when he goes to scold Cordelia for getting peanut butter on the bed. He had TWO jackets. The shiny one and the velvet one. 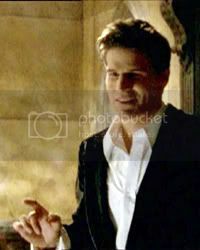 And only three shirts until the middle of BTVS S2. 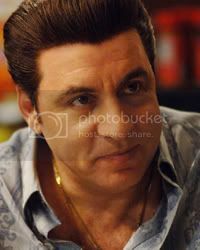 Poor guy, he really could have used a stylist girl like Cordy to tell him to wise up and ditch the Liberace-wear. Hilarious! Well worth a study break. I especially love the last three comparisons, but the whole thing is funny. 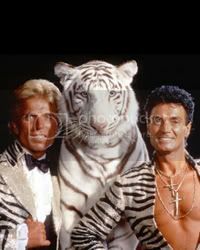 And can't you just see Angel trying to hang out with Liberace, you know, right before he started crushing on Manilow? Will you quit giving me fic ideas? 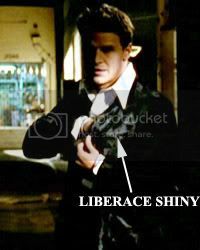 LOL Of course Angel meeting Liberace sounds totally up Foamy's alley for sure. I LOLed through the whole thing. 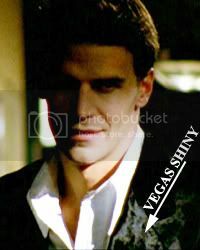 The shiny shirt bits were the best! Those are just screaming to become icons. That shiny (velvet was it?) jacket just about did it!!! Wow!! Looking back it looks funny, but worked at the time. Well, this explains a lot: His Irish accent is do bad because he's not Irish! 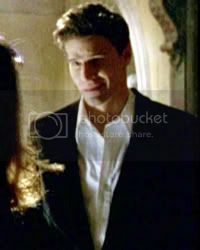 And Buffy was his beard all that time; his moment of perfect happiness came when he thought about how perfect he'd look in her new dress. How bad is it that we could probably find enough subtext in the show to support this? LOL I really want someone to do a meta about this now, even as just a joke. 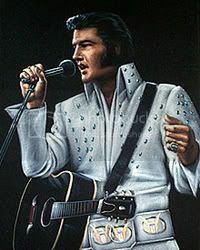 Heee hee - My boxset was delivered this week and I have actually just started rewatching too - I'll be looking out for more Liberace moments from now on. Oh, there are a plenty. The poor guy only seems to have the shiny jacket and the velvet jacket until middle of S2. I feel so bad for him. I guess spending times in the sewers doesn't lend itself to being on the cutting edge of fashion.